The season hasn’t even got underway, most teams are playing their cards close to their chest… Surely now’s hardly the time to be taking a look at which teams we think will be rising to the top in their respective conferences this year… right? Well, those awesome chaps over at the UK American Football Scene have already been quizzing the Britball Nation on who they think’s gonna top out each table in 2019, so in a time-honoured tradition, DC’s gonna take a swing at it too! We’ll take a peek at each conference, working our way up the Divisions to the Premiership, picking all the winners along the way and seeing how DC’s picks compare with the community’s! The top tier has a relatively slow start to its action, at least compared to the other tiers, with only a single fixture taking place in Week One as newcomers to the Premiership North, the Leicester Falcons, play host to a team that’s likely on their list of candidate to displace out of the top tier this year – the Sheffield Giants. Learn more about the shape of things in the north in our Prem North Preview. The top tier’s polls over in the UK American Football Scene have only just gotten going in the last 24 hours, so we don’t have any final numbers yet – but it’s pretty apparent that they’ve got the Tamworth Phoenix holding a large lead, with last year’s runners-up the Manchester Titans, and new boys the Leicester Falcons, neck and neck for a second-place finish. Having just won three-straight undefeated Northern titles coming into 2019, I’ve gotta say plucking for anyone other than the Phoenix looks like long odds. Truthfully, whether the Falcons were coming into this year with their full batch of scholars or not, I still think they’d be reaching to get the better of the Phoenix in their first year of Premiership football, though at the same time nor do I think their chances of seeing some playoff action haven’t been hurt near as much by BAFA’s announcement this week as some might be thinking. The polls currently have the Merseyside Nighthawks lagging behind the pack, but I’m not on board with that one at all. 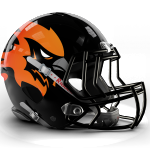 When they got into their groove in the latter half of last season, the Nighthawks were probably neck and neck with the Titans for the second best outfit in this group of teams. Truthfully, I’m not sure there’s a single team here that’s not capable of competing this year, and I wouldn’t be at all surprised if whatever team goes down is right back in the race to come back up in 2020. There’s part of me that feels like the Leicester Falcons have the most to prove here, but as noted in the preview, teams with a lot of momentum at their backs coming into the Prem North have a good track record in staying put and displacing another programme. If I’m forced to pick a team… The Edinburgh Wolves‘ slump in form down the stretch last season saw them turn from a potential playoff team, to a fifth-place finisher that might have seen itself culled from the top tier if BAFA’s proposal for a realigned Premiership had gone through. Hopefully they’ve patched whatever holes caused their ship to go adrift last season, but if they haven’t they might find themselves without a chair when the music stops. The Leicester Falcons have made no secret of their intentions to target a title in their debut campaign, which’d certainly be an impressive feat in their first top tier season… But I think it might take a bit of time for them to truly establish themselves, so I’m not seeing it happening this summer. Truthfully, it’s tough to see anyone outside the Phoenix wearing a crown come season-close, but if there’s a team I think might surpass expectations in 2018? 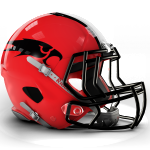 I think I’ll back the Merseyside Nighthawks to be right back in the race for the #2 postseason berth they earned in 2016 and 2017. Will we see more a return to a Blitz/Warriors Championship final in 2019? IWeponderr that and more in our Prem South Preview. The current (and still open to voting) poll has the London Warriors leading the race by a fair old way, with the Blitz coming in a distant second, and the Olympians and the rest of the pack probably still in sight of the starting line. The Warriors were a cut above the competition throughout last season, so opting for anything other than a Prem South title defence seems irresponsible. The community poll has the Farnham Knights currently sat in sixth, just behind the Kent Exiles. Given Farnham’s tough 2018 campaign, I can see why they’re not getting much love in the polls, but to my mind there’s still a lot of question marks surrounding whether the Exiles were really ready to make the jump up to the top tier that were only somewhat answered by their competitive showing against Leicester in the D1 final. Still, the Olympians’ strong showing in 2018 would appear to imply the gap between winning in D1 and competing in the Prem isn’t as large as it once was, so I’ll give Kent the benefit of the doubt. Ultimately that means I’ve got to pick Farnham as the odd ones out, but I’m not happy about it. Ooh, we’ve gotta get these guys a new lid too! Same colour scheme? The only other team I can fathom hoisting a southern title is the Blitz, and I hardly think they count as ‘dark horses’. As such, we’re really looking for which outfit stands the best chance of potentially poaching a shock win over one of the big two, and therefore giving them the potential of sneaking into playoffs if other results go their way. Given those criteria… I’ll take the Aztecs. Sure, they were well off the pace of the Blitz and Warriors last year, but it wasn’t so long ago that they picked up a surprise win over the Blitz that sent shockwaves across the south and if they’re able to do a good job of forging all the talent they have available to them in the region into a cohesive unit, it’s not beyond the pale that they could swipe a surprise win from somewhere, and at the very least I’d be looking for them to reclaim their 3rd place position this summer. So we’ve learned which teams we think will be playoff bound, but who do we have raising the Britbowl Trophy aloft this summer? Reach the original article in Double Coverage. Double Coverage is about everything #Britball. Through news and community support we seek to grow British American Football through enhanced media coverage.